Comfort is not a full service caterer, but can provide food for an event to be serviced by others. 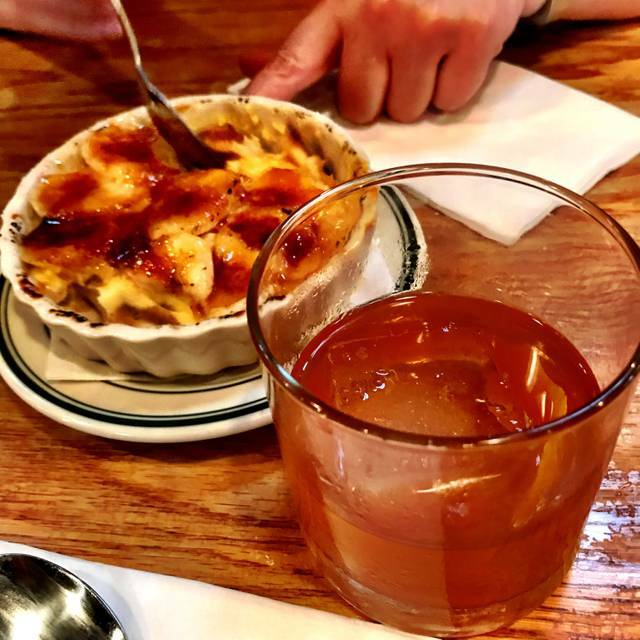 Comfort is a Meat and Three style Southern restaurant in Richmond, Va. We focus on local farmers and from scratch cooking with a real affinity for American whiskey, beers, and wine. Come see us in Jackson Ward for some real Southern hospitality! While the pork and catfish were good, the chicken wings and collard greens were so salty to be inedible. The vibe is great and yummy cocktails, but I wish there were more attention to the food. The food was overly salty. The food here is great. Pickled vegetables were wonderful. It was very quiet, had the place to ourselves. We had the roasted chicken, eggplant and catfish dinners with beets, squash casserole, mashed potatoes and collards. Five of us ate for around 125.00 +tip and 2 of us had pre-dinner drinks. It was a nice place, tables are more comfy than booths for those who are not tall. The servers were great. Attentive without hovering and kind and caring with a good sense of humor, knowledge of menu, and suggestions. Conveniently located near multiple performance venues and museum, Comfort's food was delicious! Southern comfort at its best...the fried okra was outstanding! The staff seemed a little overwhelmed on this busy Friday night. It was pretty noisy where we were sitting--with tables for two crammed in next to each other. But oh yes, I'll definitely go back. We had a lovely evening at Comfort. Great service, cocktails were excellent (love the musician themes), all the starters were delicious (the wings are incredible), and we enjoyed most of our entrees although some were very salty. Always a pleasant experience! Food is consistently exceptional ! Food and service was excellent. If you like good Southern food this one is a must. Food was excellent. Please fix the front door. We sat right behind it and every time it closed we were startled out of our seats. The service was terrible! At the end of the meal the server offered to box my food but not my friends. It was very weird! We walked from our hotel to this darling, quaint restaurant! Food was delicious and portion sizes were more than generous. Our waitress was very helpful in assisting us with making our decisions! Highly recommend Comfort! The name says it all! Comfort is in a small space, but it has been arranged well. I didn’t feel crowded. The bar was a nice set up. We each had a cocktail while we waited for a table. The cocktails are inventive without being too crazy. The decor was delightfully eclectic. The tables were spaced enough so that it didn’t feel like we were dining with others sitting next to us. The food was fantastic. It was for lack of a better word, comforting. The pimento cheese was a healthy portion, and the seasonal sides were all done very well. The portions are pretty large, so heed the warnings of the waitstaff, or be prepared to take home some leftovers. 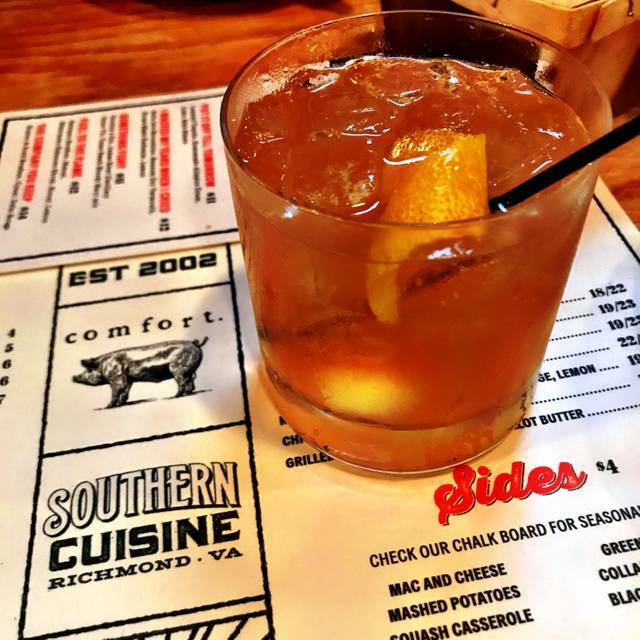 We will for sure make Comfort a must on our list for friends when they visit Richmond. It's a small space with a high ceiling, so it's noisy, but we sat back in the booths and it was better back there. 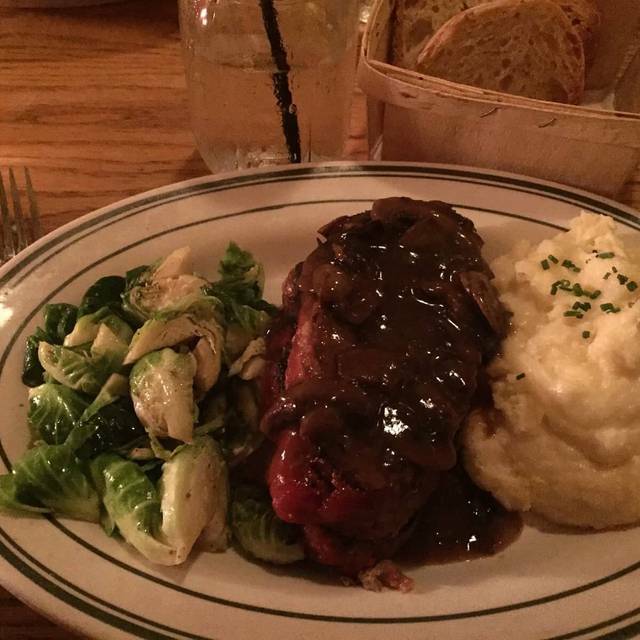 The food was delicious, the service was great, and the ambiance is perfect. It is a little pricey, but I didn't mind paying it because all the proceeds go to FeedMore. Loved the food. Our only complaint was that when we arrived (and we had a reservation for 6:15pm, which we were on time for), the hostess told us to please keep in mind that they were busy and that another party had our table at 7:30pm. I felt like I was already being asked to leave before I ate. It was just a little odd to be greeted that way. Always a great experience - food and decor are great! Good food; good service; all good! And there is always left over so we can enjoy again! Overall good but service was a little slow getting food out. Food was overall good and of value. Dinner was wonderful!! Delicious food as always! Service was great! Great meal, artfully prepared! A little noisy, but not impossible to carry out conversation. Busy (Saturday) night, ran out of a few items on the menu, but not the biggest problem with so many good choices remaining. Great food, great service, great atmosphere. 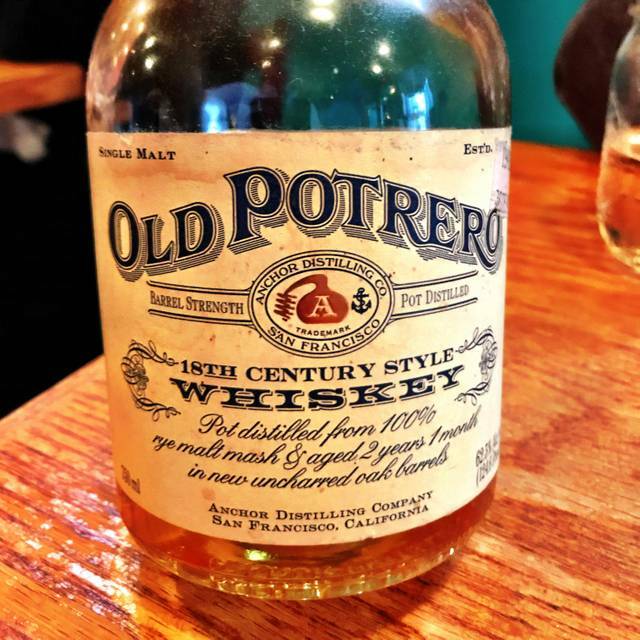 Highly recommend for a couple or for group out. Kylie was a dream! Amazing food that was so dank I couldn’t finish my entree when it came because we ate up so many delicious apps before it came. Comfort is a favorite and taking my family there for the first time was a treat. Thanks a million for the great time, Kylie! My fiancé and I come here every so often as it was the location of our first date. The food is always impeccable & the service is always fantastic! 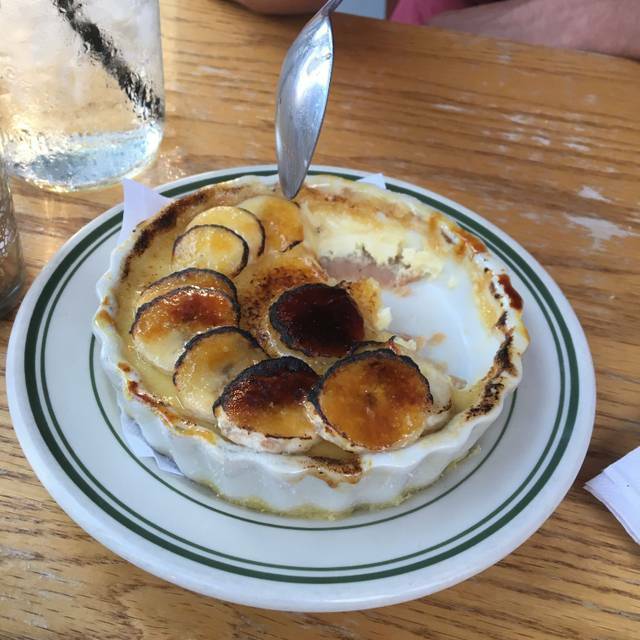 You can’t go wrong with the banana pudding creme brûlée. Dinner out with my mom. She ordered the sirloin and lump crab special and I got the vegetable plate. As always, everything was pretty good. The fried okra, bacon collard greens, and mac&cheese are always my favorites and did not disappoint. Tried the beets for the first time and liked them alot. Unfortunately, the black eyed peas were hard and tasted like they needed quite a bit more cooking, and the cornbread was a bit bland. We had way more food than we could eat and overall, our meal was delicious. Always very great food and great service. 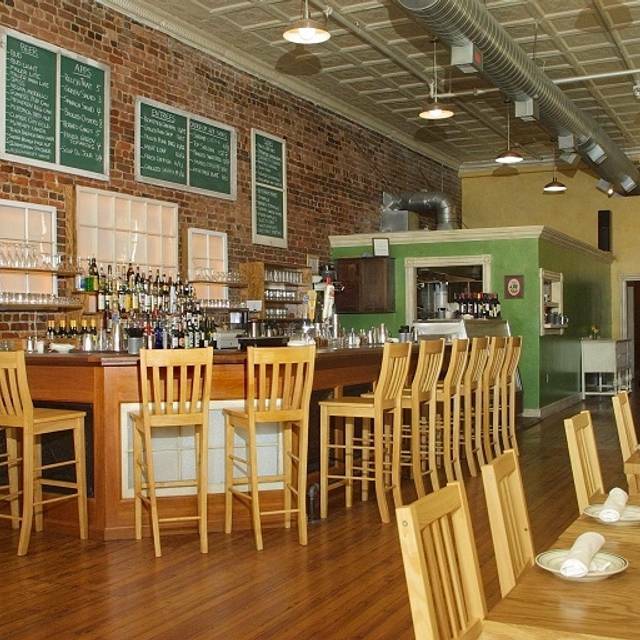 One of the best restaurants in Richmond. Tables were too close. Felt like we were having dinner with strangers. We arrived on time for our reservation at 6. The restaurant was not crowded so we asked for a booth since we were a party of 4. The hostess told us that booths were reserved for larger parties and sat us by the front door on a cold night. We were cold the entire time and when we left 90 min later all the booths (about 3-4) were empty except one. We had business guests from Japan with us at dinner and they were cold as well. The food was good, but nothing out of this world. I hadn't eaten at Comfort since it originally opened and probably won't be back as there are so many outstanding restaurants in Richmond. One of my favorite restaurants! The menu is wonderful.....great comfort food! Yes, the restaurant is a bit noisy.....but just adds to the atmosphere. Very good wait staff. I would recommend Comfort to anyone wanting a good homecooked meal. Lots of choices and healthy ones too. Loved the collards and I have never eaten them before. 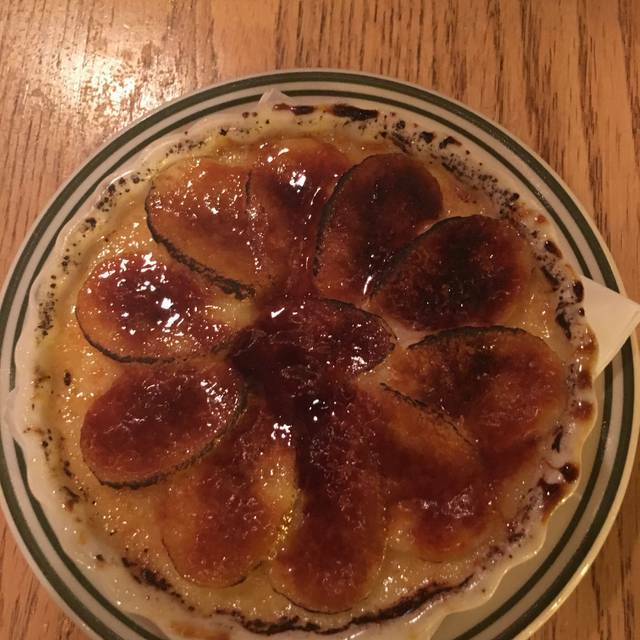 The banana creme brule was divine !!! Loved my Herb Chicken too. Food was yummy. Service was just right. Only complaint is it is a vibrant bar scene, so very loud-conversation is difficult. Overall very disappointed. Went on recommendation in Southern Living magazine. Had a reservation for 6 people, 4 of whom are large college boys (our son and friends), and were placed in a booth, which was just too tight with three of the boys elbow to elbow and dishware was overcrowded as well. Quality of the food was very mediocre; we are from North Carolina and were quite disappointed in the pimento cheese appetizer; fried medly appetizer was over breaded. Trout special was ok but salty, meatloaf which waiter said they're known for was also just ok but oily, roasted chicken pretty good. Vegetable sides (sweet potatoes, green beans, spinach) were good. Parking was also exceedingly difficult on a Saturday night. No complaints with the service per se. Overall, this is a fine place to just stop in to grab food; I expected more from a "reservations" restaurant that came so highly rated by Southern Living. Wish we had chosen a more standard Richmond restaurant for a nice night out with our son. Wonderful food, EXCELLENT/ very patient server!! Everything was nice, other than the street view of traffic. I try to dine at Comfort every time I make a trip to Richmond. Great comfort food with an upscale twist.